Spring time is the perfect season to freshen up your home and doing so can be easy. You are going to love these simple ideas to freshen up your home for Spring. 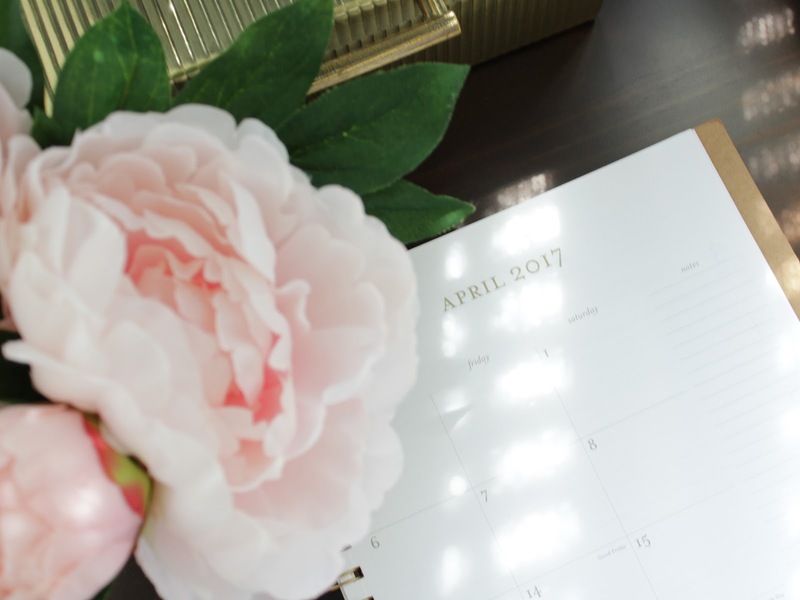 14 home decor bloggers did a little spring cleaning to share how they bring the spring season in their home. What's in it for you? Well, aside from being able to snoop through these beautiful homes, you get to fill your brain (or your pinterest board) with spring decor ideas that you can incorporate in your home. What you will be touring here today is my master bedroom. I freshened it up just a bit for Spring, adding a few new plants here and there, and updating my bedroom workspace with a new desk and NEW CHAIRS! Let me show you what I did. BUT before you scroll through... remember this is a blogger tour so that means that at the end of this post you will see who's next on this Spring tour. You can visit that blog by clicking on that blogger's link. THE FASTEST AND MOST ECONOMICAL WAY to spruce up your space for Spring is to use sunlight, fresh air and houseplants. Open up those windows and blinds! Let that spring air circulate through your bedroom! Let the sun shine in! Add a few plants in the mix... clean up a bit... and your space will feel new and refreshing. I also added these tall and bushy beauties to the sides of the bed. They are called False Aralia and I love them! I love how they resemble mini-trees. When I lay down in bed I feel like I'm in a forest. a coffee mug with fresh flowers finishes off one side of the bed. Fresh flowers make everything better. All the plants are from Lowe's Home Improvement . When visiting Lowe's, ask about their plant warranty! For Spring, I also freshened up my bedside decor. Instead of the traditional nightstands, I opted for his and hers desks on each side of the bed. 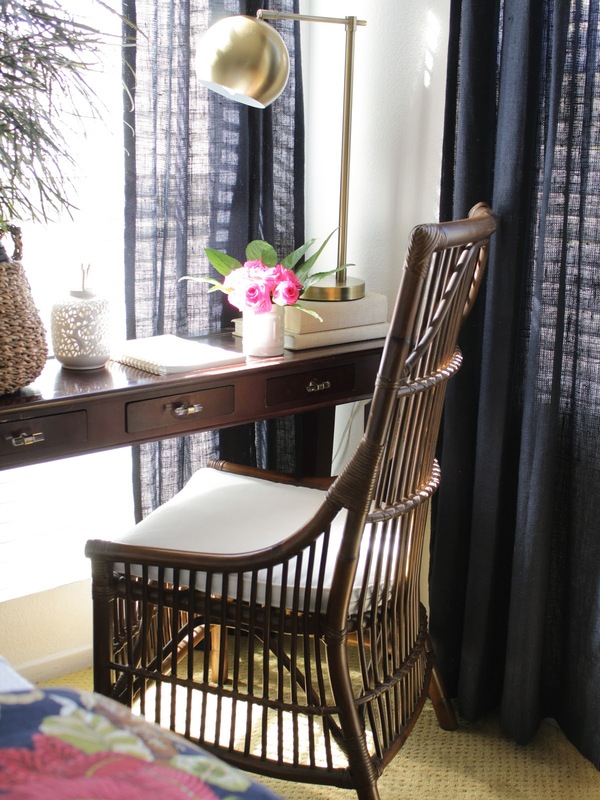 The main reason for choosing desks over nightstands is that this gives us a designated workspace that feels private and is tucked away from the high traffic areas of our home. I know that working in the bedroom might be a no-no, but for me it's the only place that I can get away. There's no office in my small home, so this works for me! I love the fact that the desks give me a lot of flat space to accessorize. You know that's important to me. Did you catch a glimpse of my gorgeous chairs? I'm in LOVE! I wanted a chair (that was not an office chair) with a high back, and made of wicker or rattan. I would have loved armchairs, but I wouldn't be able to tuck them under the desks. The sides of my chairs have a slight curve, which I think is a good alternative to an armchair. The chairs are rattan so they are lightweight but very sturdy. I also chose rattan chairs so that they wouldn't block the sunlight. And the best part... I got them at almost 60% off the retail price! If you're interested in the same chairs then just click HERE. Get them NOW though because they had limited quantities when I ordered them. If you're interested in any of the products in my bedroom, you can shop by clicking on the links below. So remember this Spring to pay attention to your bedroom! Many of us focus on the living room when it comes to decorating which is great, but your bedroom is just as important! It's where you start and end your day so put a little effort into livening it up this season. 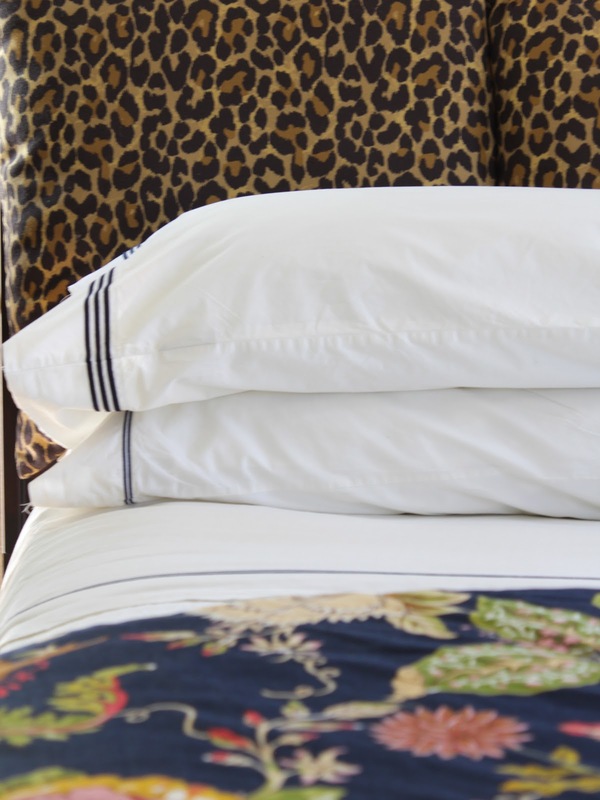 Spoil yourself by adding a few simple things in your bedroom like freshly pressed and laundered sheets, some beautiful greenery, and a small vase of flowers on the nightstands. Trust me, you deserve it. Now, go take a peek at my friend Sheila's home at Maison De Cinq. She's the next blogger in the tour and she's showing you how to incorporate Spring in the kitchen. I love Sheila's timeless and clean style and her approach to "fuss-free" decorating. I hope you are enjoying this Spring tour and getting lots of ideas. What do you like to do to spruce up your home for spring? Let me know in the comments! I love hearing your ideas. Here is the list of all the bloggers that are participating in this blog hop. Have fun taking a peek into the homes of all these talented home decor bloggers. Great minds think alike!!!! Oscar I also did bedroom and with a similar organic approach! Love your style dear friend and I wonder why! Have a great weekend! Love your artwork too Oscar...that lady in blue is phenomenal! Of course, I love your magazine-style photos, you are remarkable! Beautiful designs! Thanks so much for your kind comment Lisa! I really love how you've used desks as nightstands. They are so much more interesting, and they give you so much more decorating space. And those chairs!! Perfect!! Love the whole room, Oscar! Thanks Kathleen! It's actually really nice sitting at my desk, I get a nice breeze I love it! Ok Oscar, this is the bomb! Love your master bedroom! The palm is gorg and i'm loving your "forest in a basket" haha! Seriously love that basket idea!! and I love your duvet and the flowers in the mug. It's all perfect! Happy Spring! Oscar your style ROCKS! I love your details in every corner, and the two desks and chairs! Brilliant! I love that Bahamian/coastal/colonial vibe...love every bit of it my friend! Oscar this is gorgeous! I love the bedding! You have truly created an oasis. The chairs are to die for...and I love your greenery! !Very spring,very beautiful! 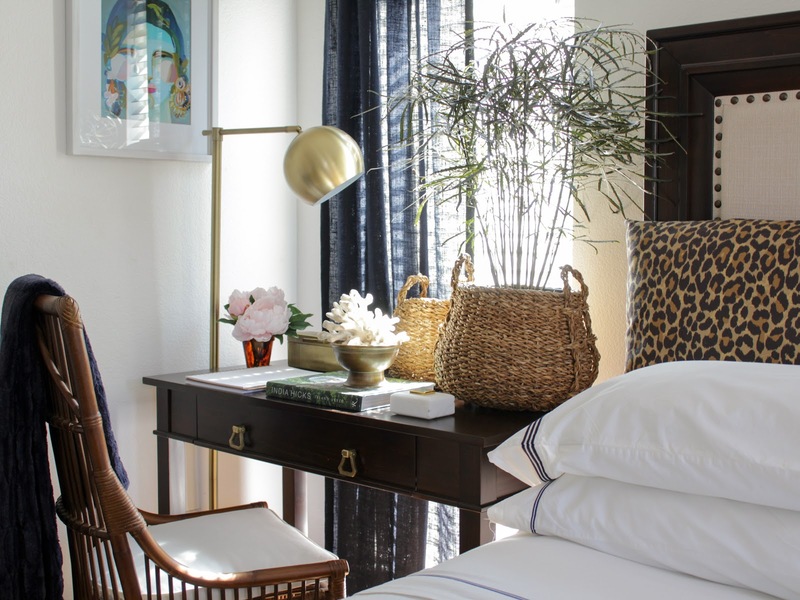 I always love your style and your natural and effortless way you pull a room together. And of course, you are the master of color for sure! Your new chair looks great and I think your spring touches bring just the right amount of cheer! Beautiful room! I love your new chairs and the animal print pillows! And I agree, flowers always make everything better! Your bedroom is so amazing! Nice to see how you decorate it and I love all your plants and how they are echoed in your linen. You have inspired me with plants! Wow oh wow!! I love your bedroom.. These spring ideas are awesome! We should agree with letting the natural light inside. It will make your home look fresher and more comfortable. Perfect for your spring atmosphere.